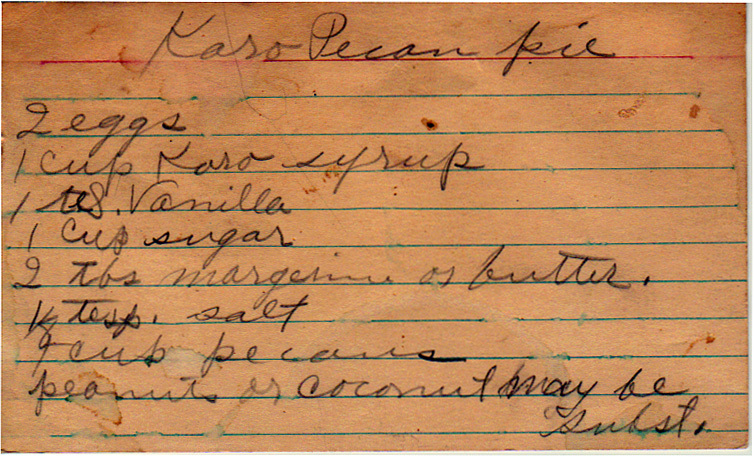 Karo (or at least some form of corn syrup) is a crucial structural element in many pies. Having two different types of sugar that don’t easily crystalize together avoids the sugar hardening in random spots. From a box sold in Louisville, Kentucky. Peanuts or coconut may be substituted.